Grass Ultra is a long-pimple rubber with an adhering surface (complies with the new ITTF‘s regulation). The newly developed rubber surface permits a large variety of undercut balls during a defensive game, but also disturbing attacks at the table, while your attacking balls will remain unpredictable for your opponents. 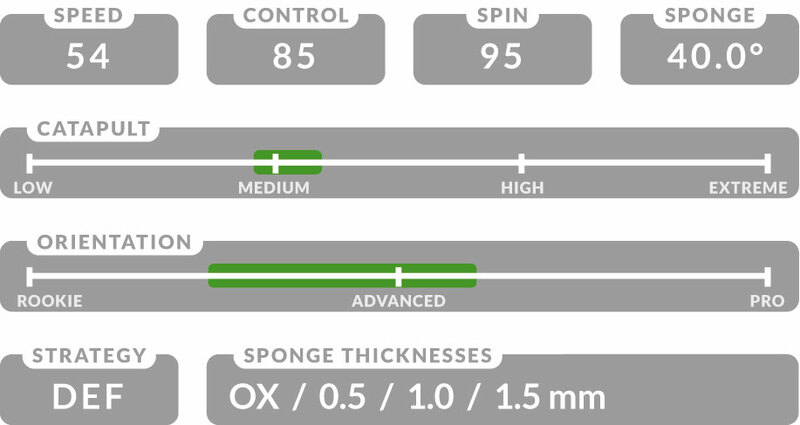 The 1.0 mm and 1.5 mm versions even provide the possibility of light counter balls. Although the ITTF has implemented new regulations, this rubber possesses a disturbing effect which is very well adapted to a defensive but also a block game style.